Are the exotic names of Ayahuasca, Iboga, San Pedro and the like new to you? As an aware Process Professional if you haven’t already encountered them, chances are they will pop up somewhere in your personal or professional networks soon. All are indigenous Plant Medicines or ethnogens, with deep culturally specific roots, whose use is spreading far and wide across the globe, including into various kinds of professional process work with groups and individuals. Researchers and scientists in the U.S. Brazil, Spain, Canada and the like are racing to get approvals to more thoroughly investigate the health and psychological breakthroughs that these plants are being linked to. 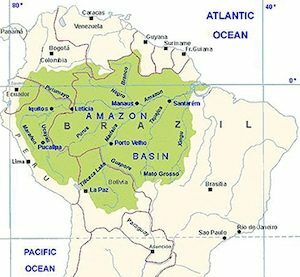 Amazonian Plant Medicine … in fact it’s comprised of 2 very specific plants from the 10s of thousands that the South American Amazon hosts. It’s used as a traditional spiritual medicine in ceremonies among the indigenous peoples of the Amazon basin. In drinking its distilled brew, it is said that one comes in contact with the feminine spirit of the plant who gives insights and help with what ails you. Often she’s called Mother Ayahuasca or Grandmother as a sign of respect. Historically Ayahuasca (and other plant medicines) are used by indigenous people in their cultural context. In times gone past the Shaman or Ayahuasquero (often male but sometimes female) would drink the ayahuasca brew as a way to gain information, insight and advantage. For their community at large and for specific individuals suffering from various physical, mental, psychological and spiritual complaints. This practice was intricately intertwined with the tribe’s way of life and societal structures. Western folks started to learn about Ayahuasca (and other Planet Medicines from other locales) via the early exploits of explorers, missionaries, anthropologists and those who funded and fueled them. This stream of interest has picked up speed since the 1950’s. In the last few decades the numbers have sky rocketed and there are now steady migrations to the South American regions where these plants originate (Ecuador, Bolivia, Peru, Columbia and Brazil) … to participate in ‘Plant Medicine Ceremonies’ of various kinds and qualities. These travel patterns are heavily impacting these traditional regions and spreading these plants globally. The custom of the Medicine Person or Shaman ingesting the plant somewhere along the lines switched to the client/patient doing so. And while the aim of healing sick people has remained, other aims of ‘understanding oneself’ and ‘finding God’ has taken up residence in a big way too. Given the skyrocketing popularity of the plant it’s moved quickly into the hands of less skilled and unscrupulous operators. It’s increasingly challenging to find legal practitioners who have solid shamanic skills and experience in order to hold a safe container. I first learned about Ayahuasca a decade ago. 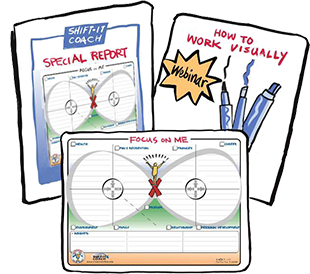 As a Facilitator, Coach and Educator, I keep up on approaches and methods that help groups and/or individuals shift. And I’m committed to my own ongoing Inner Work, a lifelong endeavor. 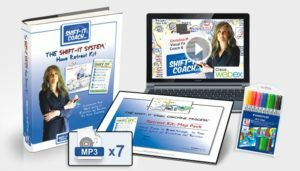 In my SHIFT-IT coaching work with individuals, I help people actualize what it is they say they want for their professional and personal lives. Sometimes my client work is quite simple, it’s just a matter of helping people map out their vision and steps and providing an accountability structure to accomplish those steps. Other times it’s much more complicated, usually because the person is conflicted about what they want. Part(s) of them can allow what they want and part(s) of them can’t. They have an internal and/or external conflict. Often these conflicts have to do with problematic things that have happened to them or their lineages … in short, various kinds of resistance or even trauma blocks their path. I do my best to keep abreast of the latest Traumatic Studies research as a way of aiding my clients and myself. Back then I began to hear about promising transformational work using indigenous shamanic practices with addicts in the troubled East End section of Vancouver, British Columbia here in Canada. Especially impressive given the nature of the generational trauma and complex PTSD that most of this population were suffering from (systemic issues due to Canada’s abysmal treatment of First Nations peoples over the centuries). These shamanic practices were also reportedly useful for others afflictions of the western world too (alcoholism, drug, addiction, depression, anxiety, eating disorders, abuse, etc.). As some, via these ancient practices, were able to powerfully understand, reframe and integrate their problems and underlying traumas in ways that nothing else had. And get on with their lives in productive ways. Dr. Gabor Mate, a well-respected Canadian physician and author, was one of the professionals who was doing leading edge work in this area at that time, partnering with South American shamans. He was eventually featured in a popular Canadian TV show called The Nature of Things (long time host is biologist and environmentalist, Dr. David Susuki). 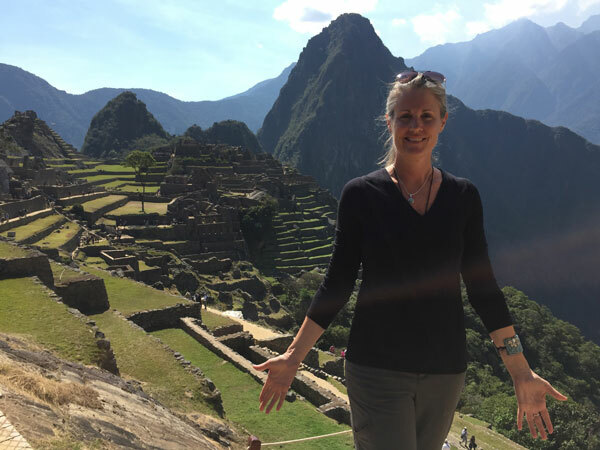 Additionally, a local friend of mine, who was battling pelvic cancer, decided to travel to Peru to add Plant Medicines to the alternative protocols she was pursuing. 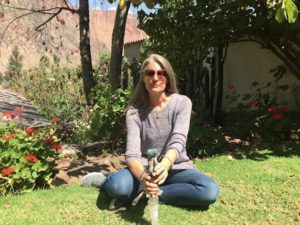 I’m happy to report that she regained her health and attributes her Ayahuasca and other plant remedies as playing an important role in her recovery. 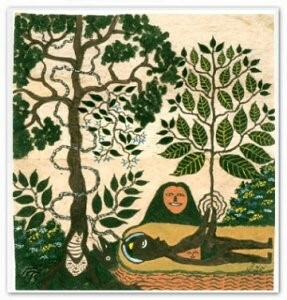 So, this too went into my early considerations of Ayahuasca. After much research and contemplation, I eventually participated in Ayahuasca ceremonies myself back then. And then years later I traveled to Peru for further ceremonies in The Sacred Valley with ethnopharmacologist Dennis McKenna. Physical health was not the driver for me, thankfully I’m healthy, knock wood. However, my life has personal growth at its core, so that’s what I was most interested in. I was open to Ayahuasca showing me what was the next layer of the onion that I needed to peel. And I was also interested as to whether it might hold anything for my SHIFT-IT work with others. So, the first step was to experience it for myself. I have had particularly potent Ayahuasca experiences that have taken years to unpack. As a Highly Sensitive Person (HSP), I have a highly sensitive nervous system as it is. In my first ceremony (with a female leader) my Kundalini energetically awoke and has been in a rapid unfoldment process ever since. 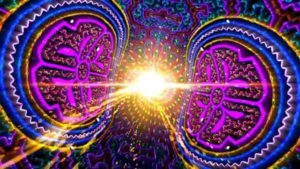 Ayahuasca is an enhancer and activator. It tends to accelerate and bring into consciousness what is already present but unconscious. 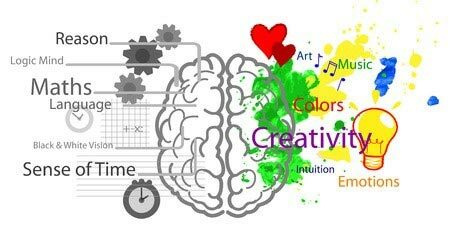 It moves things from the unconscious Right-Brain into the conscious Left-Brain (from the emotional into the rational). 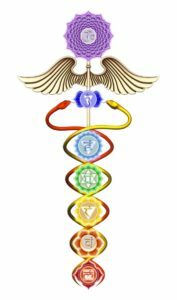 I do not feel Ayahuasca gave me a Kundalini awakening per se but rather it enhanced a process that was already more sedately happening. It made this process much more conscious and in my face. In my latter Ayahuasca experiences (with a male leader) I had frightening yet ultimately expanding experiences connected to death, seeing and interacting with the spirit world and higher kundalini activations (moving into the brow and crown). I also was highly tapped into the people around me – including the leader, helper and participants. Experiencing a level of knowing and insight that was highly attuned. 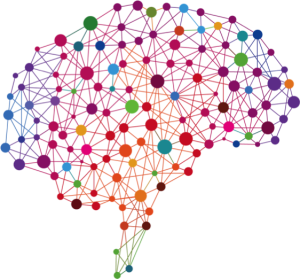 The integration of these themes into my everyday life has been challenging … it has taken time for the instantaneous Right-Brain downloads to become understandable to my poor little Left-Brain. I now know that subtle energy and the transition that death holds is the next frontier of my SHIFT-IT work (see my Practical Energy Work offerings). Helping myself and other folks understand and interact with the subtle energy realms in a grounded and rational way. And, deal with the death transition (of others and ultimately of ourselves) in a more visible and mature manner. Death being our ultimate shift and a topic that the western world strangely shies away from. I firmly believe that Ayahuasca (and other Plant Medicines), hold fantastic promise for expanding the consciousness of humanity … at a critical time in our history where we DESPERATELY NEED to boost our awareness or risk demolishing ourselves and our planet. 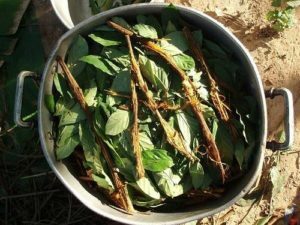 Ayahuasca is spreading across the world at a rapid pace (perhaps as an 11th hour Hail Mary move by nature to save itself by waking up human beings before it’s too late). She’s considered a national treasure in the regions she’s from, but is illegal in most other locales, at least for the time being until more scientific studies are done. This Master Plant Teacher DOES need further study and thankfully long awaited research is starting to be done. She also needs help in developing suitable context and container-holding for Western people. Not just short-term container-holding (i.e. the 6 hours or so length of a ceremony). But much LONGER CONTAINER HOLDING over the weeks, months and even years that are required for the Left-Brain to understand what the Right-Brain downloads. I want to state that my Ayahuasca experiences have given me great respect and humility for the power of what these methodologies can evoke. They aren’t to be taken lightly and I urge you, if you are intrigued (or know others who are), to do deep due diligence. There are a lot of unskilled people hanging up various shingles, so it’s really buyer beware to weed through to find properly equipped practitioners. 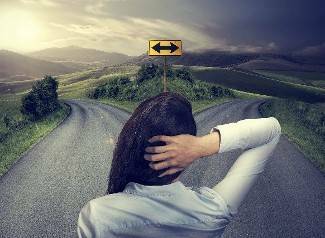 We stand at an important current crossroads, in how these ancient practices are adapted for post-modern application and by whom. Lots of battles between spiritual and rational sensibilities both at the collective and individual level are and will be duked out in the decades ahead. While I am fascinated with her potential, I am in no rush to personally, experience Ayahuasca again … I’ve been given more than enough to unpack for the time being. However, I do watch with anticipation as this important work unfolds as an aid for people in distress and one way to unlock what stands in the way of human potential. I look forward to seeing what the clinical studies determine (also knowing that head/science is only half the equation and does a weak job at times of acknowledging the existence let alone the value of the heart/spiritual). As ethnogens, Plant Medicines currently fall under the ‘psychedelic’ scientific categorization, which lumps both organic and synthetic compounds into the same broad pot. 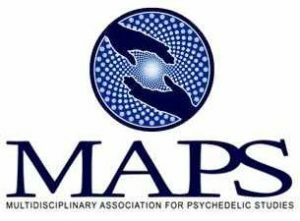 The MAPS Association is a consortium of interests that forwards the study and research of physical and psychological benefits. See their studies to assist depression, PTSD, social anxiety and the like. Is a 501(c)(3) non-profit organization that promotes research with classic hallucinogens and psychedelics, predominantly psilocybin, to contribute to a greater understanding of the mind and to alleviate suffering. Primarily funds academic and clinical scientists who’s recent clinical studies have focused on psilocybin-assisted treatment for end-of-life anxiety and depression in cancer patients, as well as alcohol and nicotine addiction. 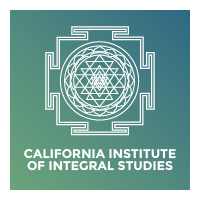 My alma mater The California Institute of Integral Studies in San Francisco is once again ahead of the curve. CIIS is the first academic institution that is preparing therapists to participate in clinical studies and ethnogenic client work. Compassionate Inquiry is a powerful technique for assisting clients to access deep healing and transformation. This workshop is suitable for all helping professionals including social workers, therapists, and health care providers who wish to help liberate their patients/clients from the unconscious dynamics running their lives. Offered in Victoria, BC May 2018 (hopefully more of these workshops will follow in the future). There are ways to explore the power of connecting with Plant Consciousness without ingesting plants. 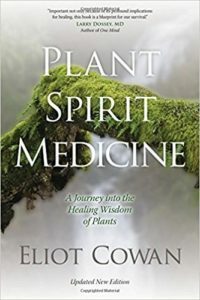 Eliot Cowan is a fascinating practitioner who teaches others to subtly connect with a whole host of Plant Teachers, including common plants that surround you in your own locale. Listen to this great interview below from Sounds True (loved his book) and take particularly note of the reverence, gravity and respect he grants Ayahuasca as a Master Plant Teacher. New Hope for Depression, Addiction, PTSD and Anxiety. What happens when an agnostic research scientist and psychotherapist hears a voice from a plant spirit? 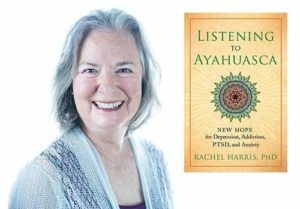 In the case of Dr. Rachel Harris, it lead to a puzzling but beautiful personal relationship with the ayahuasca vine and a decade of work investigating the lasting effects of ayahuasca use in North America. Dr. Harris’ new book conveys her personal journey with the Amazonian plant and summarizes the results from her questionnaire-based observational study that measured the long-term effects of ayahuasca on people who used it in the US and Canada. Her findings are astounding, insightful, and an important step forward in the still budding area of ayahuasca research. Steve Beyer — scholar, adventurer, and expert on both jungle survival and plant hallucinogens — is the author of Singing to the Plants, “the best book on ayahuasca yet” and “the most comprehensive examination of Amazonian shamanism ever written.” Steve studied wilderness survival among the indigenous peoples of North and South America, and sacred plant medicine with traditional herbalists in North America and curanderos in the Upper Amazon, where he studied the healing plants with doña María Tuesta Flores and received coronación by banco ayahuasquero don Roberto Acho Jurama. With over 1000 ceremonies under her belt, she guides folks who have touched the intangible via Ayahuasca or are facing death through illness or fear. Currently Kat is in residence at Rythmia Life Advancement Center in Costa Rica, the first medically supervised Ayahuasca facility in the world. I worked with Kat before and after my Peru ceremonies. 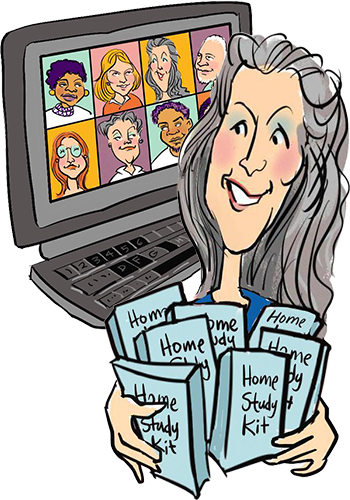 My SHIFT-IT System helps you to literally SEE your past, present and desired future. Build a plan to shift yourself from point A to Z. And identity troublesome doubts, fears or deeper blocks that interfere with what it is you say you want (take into shamanic journeying for deeper inquiry). Or use afterwards as a way to follow Aya’s guidance about what you need to shift! Hundreds of interviews with people in various kinds of awakening processes. Divides his interviews into categories, including Tantra/Kundalini. See video below for Rick’s interview with Jane Harrigan on her Kundalini Vidya model and lineage. I hope you have found this article of interest and of good use. May your journey (and those you support) be mindful, safe and illuminating. Let’s keep our fingers crossed that the numbers of qualified practitioners increase and that better facilitated containers (both short term and long) get built to properly assist these Right-Brain to Left Brain integrations.